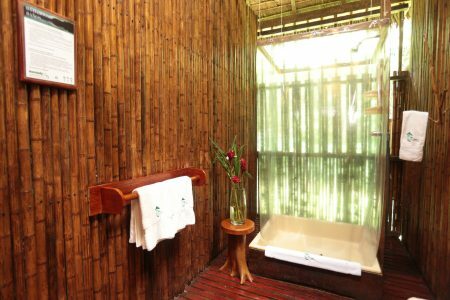 Owned by the local community of Ese’Eja people, this award-winning eco-lodge is a fantastic example of community-based tourism and conservation. 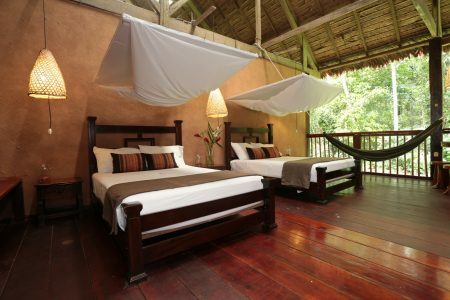 Posada Amazonas is a 30-room Amazon jungle lodge perfect for your first taste of the Amazon’s natural wonders. 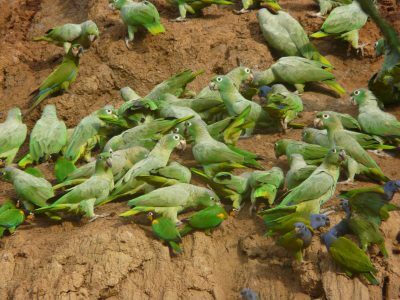 Despite being relatively close to Puerto Maldonado, Posada Amazonas offers ample opportunities to see wildlife such as squirrel monkeys, howler monkeys, parrots and macaws. The lodge is also home to a family of giant river otters. 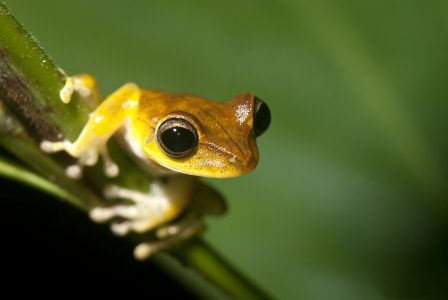 This program is for those looking for a flair of the Amazon basin in 3 or 4 nights. 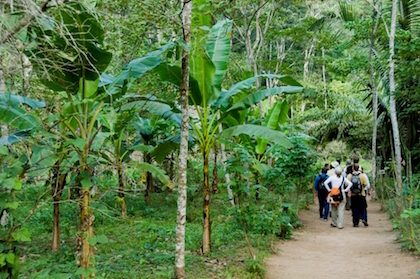 Row around an oxbow lake, take your chances at parrot clay lick, walk to the huge kapok tree near the lodge and visit an ethnobotanical center and farm within the Native Community of Infierno. Day 1 Arrival – Transfer from Puerto Maldonado Airport to Posada Amazonas. Canopy Tower – Ecotourism Lecture. Day 2 Tres Chimbadas Oxbow Lake – Ethnobotanical Tour – Ethnobotanical Tour. Day 3 Parrot Clay Lick – Ceiba Trail Hike – Farm Visit. Day 4 Departure – Transfer to Puerto Maldonado Airport. Day 1 – Arrival in Puerto Maldonado and transfer to Posada Amazonas. Upon arrival from Lima or Cusco, we will welcome you at the airport and drive you ten minutes to our Puerto Maldonado headquarters. While enjoying your first taste of the forest in our gardens we will ask you to pack only the necessary gear for your next few days and leave the rest at our safe deposit. This helps us keep the boats and cargo light. Skirting Puerto Maldonado, we drive 20 kilometres to the Tambopata River Port, entering the Native Community of Infierno. The port is a communal business. 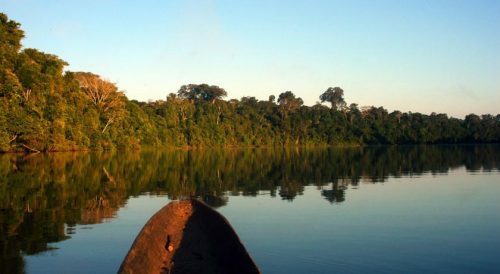 The forty-five-minute boat ride from the Tambopata Port to Posada Amazonas will take us into the Community´s Primary Forest Private Reserve. 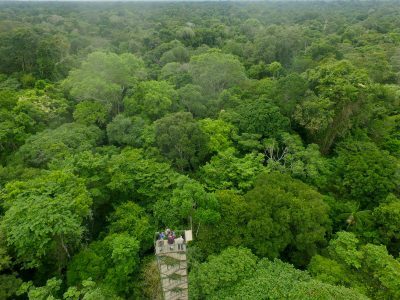 A twenty-minute walk from Posada Amazonas leads to the 30-meter scaffolding canopy tower. A bannistered staircase running through the middle provides safe access to the platforms above. 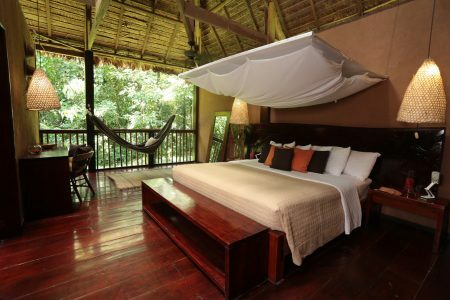 From atop you obtain spectacular views of the vast expanses of standing forest cut by the Tambopata River winding through the middle. Now and then toucans, parrots or macaws are seen flying against the horizon, or mixed species canopy flocks land in the treetop next to you. Day 2 – Full Day activities. Tres Chimbadas is thirty minutes by boat and forty-five minutes hiking from Posada Amazonas. Once there you will paddle around the lake in a catamaran, searching for the resident family of nine giant river otters (seen by 60% of our lake visitors) and other lakeside wildlife such as caiman, hoatzin and horned screamers. Otters are most active from dawn to eight or nine AM. Day 3 – Full Day activities. Transfer Boat – Posada Amazonas to Tambopata River Port. Transfer Tambopata River Port to Pto Maldonado Headquarters. Transfer Puerto Maldonado Headquarters to Airport. We retrace our river and road journey back to Puerto Maldonado, our office and the airport. Depending on airline schedules, this may require dawn departures. Fixed departures transfer from Puerto Maldonado Airport to Posada Amazonas: land and river transportation.